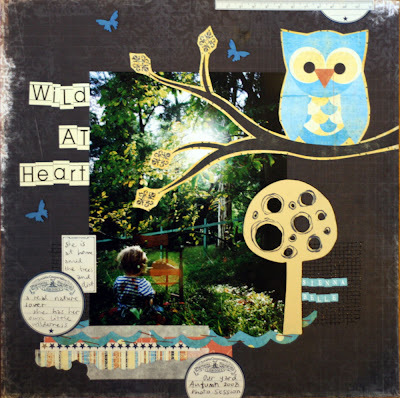 These first two layouts are for Kiti Q, featuring the new Vintage Moon range from Pink Paislee. 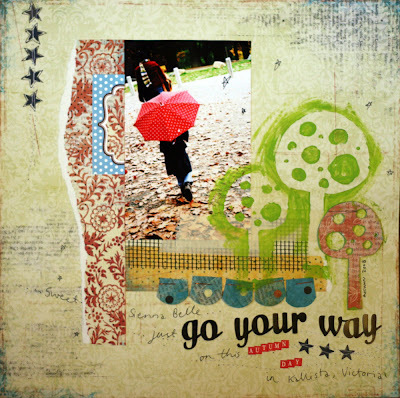 'Go Your Way' also includes Jenni Bowlin apothecary stickers, Elle's Studio Lollipop Shop label, Scrapware trees, magic mesh and tiny alpha stickers from Carolee's Creations - all in stock at Kiti Q. 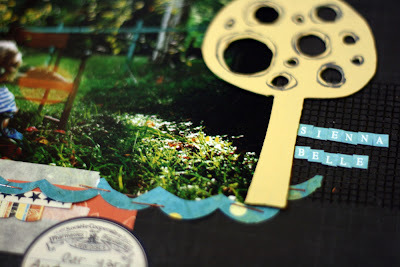 The current issue of Scrapbook Creations has the following two layouts. I was asked to join the Colour Expert Team at Scrapbook Creations (mega excitement followed that email!) and this month was the first issue where I am on the team. The layout 'Toby's Angel' is of my brother-in-law Toby and the weekend last year where we all met his girlfriend Tarie. 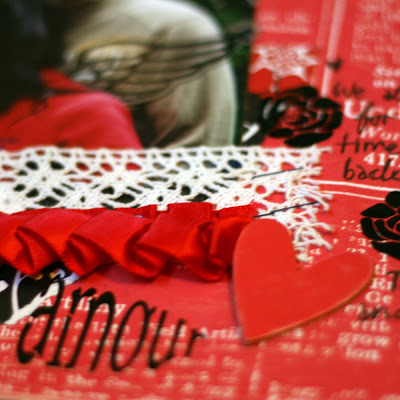 The romantic vibe suited the assigned colour combo, I thought, of red, black and white. 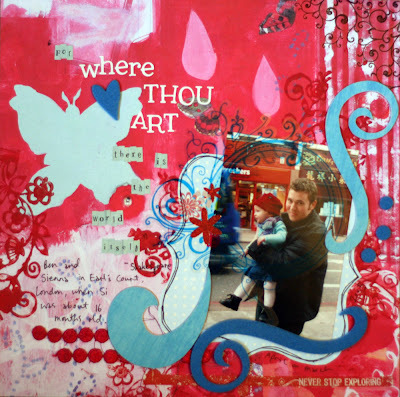 'Where Thou Art' is the layout I entered into the Scrapbook Creations colour competition, and was one of the runners-up. Though it was photographed a little dark in the mag. 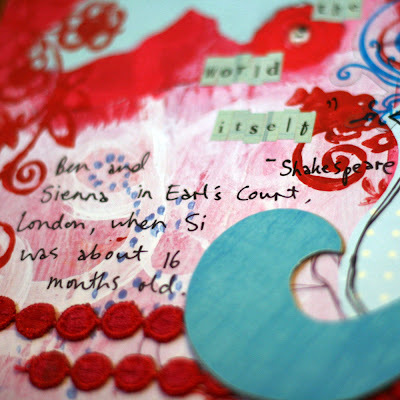 I love this photo of Ben and Sienna though, we were in London. I just want to add a note to any previous customers of Danielle Q Photography (previous because the business is no longer active), in case you did not take the time to read the terms and price list before hiring DQP, one of the terms of service was "Danielle Q Photography reserve the right to use the images for promotion, competition or advertising purposes." 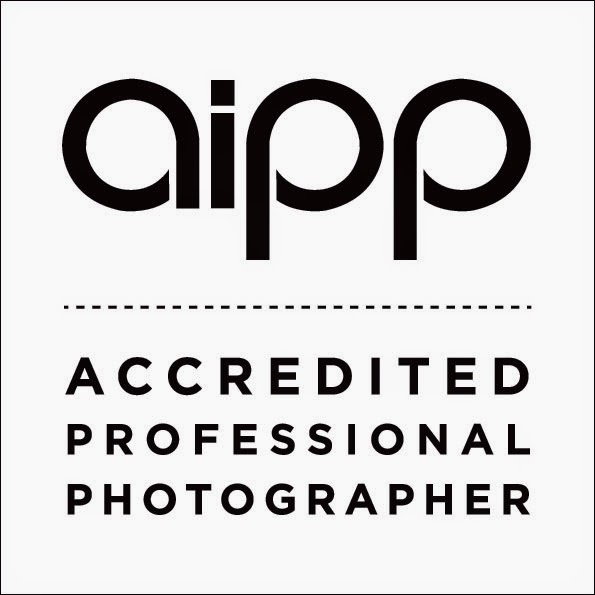 This includes the addition of photos to public online photography galleries, any competitions, blogs or advertising. Booking DQP indicated acceptance of the prices and terms presented to you. 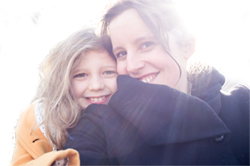 And anyway, I am always flexible and reasonable and if anyone does not wish the images of themselves or their family to be public, they need only let me know. No dramas necessary, just communication. It was implied yesterday on a public forum that no such terms existed for DQP and that I may have acted without integrity regarding the display of my photographic work, which is absolutely not the case. The issue was resolved with a minimum of fuss, but the smear on my character was never cleared up, so I wish to clarify these details as simply as possible. Makes me feel disillusioned about people sometimes, though I try to be a generous and reasonable person. But, in any case, moving on. October's sneak peek is up at Q Tea Kits... lots of robot cuteness coming next month! 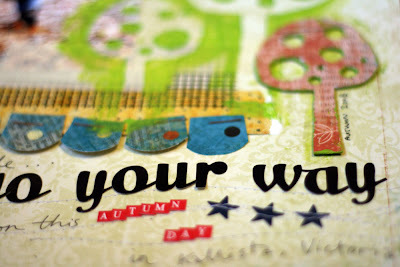 Absolutly LOVE your art. You're SUCH an inspiration to me!!! Love those trees, and ones you masked (?) ...such faboulous LOs. I saw your layouts in the new SC mag, and I love them both. 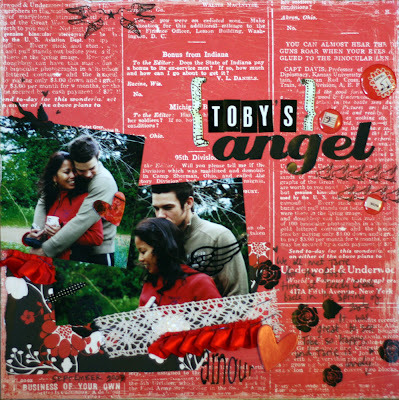 I really love TOby's Angel. Something about it is so warm and passionate!